The HomePod is Apple’s first Siri enabled speaker and is their attempt to bringing quality sound to your household. While there are great things about it, there is also some bad. We’ve been testing Apple’s latest contraption for a couple of days and to say the least — it is not perfect. Here’s our take on it. 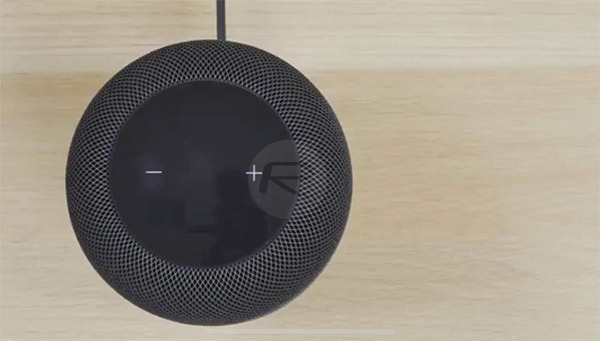 Easy Setup: With Apple’s W1 chip built-in to the HomePod, the set up is extremely simple. Plugging in the HomePod for the first time, you’ll receive a prompt on your iOS device to begin set up, select a few options, then you are ready to begin listening. Great Sound: With the size of the HomePod, you’ll probably be impressed of what comes out of it. Weighing in at 5.5lbs and about an iPhone 8 Plus tall (6.8-inches high), the sound from the HomePod at first listen is — SURPRISINGLY GOOD! When I took a listen to a variety of tracks and genres, the quality of it came out crisp with good bass. Outstanding Voice Detection: I’ve used several smart home devices like the Google Home and Amazon Alexa and when trying to speak to it, I at times have to even yell before it starts listening. The HomePod though has some amazing voice detection microphones. Around the speaker it has a six-microphone array for far-field Siri detection. I was able to be in my kitchen of my apartment and have the HomePod sit in the furthest corner of my living room and it could detect me saying, “Hey, Siri..”, at my normal tone. Not just that, it was also able to hear me even playing music at full volume. I was shocked and impressed. Limited Siri Functionality: Being so used to Google Home and Amazon Alexa where they handle many different queries, Siri on the HomePod lacks many things. I tried to make a phone call using Siri and the HomePod responded with, “I cannot do that right now.” I then asked it to tell me what was my next event and that, too, it could not do for me. Something as simple as making a phone call or reading my calendar events is a disappointment for the HomePod not being able to do at launch. Siri functionality is very basic and wish it was capable of doing what it could do on iOS. No Multi-User Voice Recognition: Again, comparing to other smart assistant speakers, the HomePod is not able to know who is talking. If you have this in a household of many members, anybody can easily say “Hey, Siri…” and activate something or change the current thing that is playing. While this isn’t always a bad thing, it can be at times. The HomePod is able to read and send messages using voice which is awesome, but what happens when somebody else says “Hey, Siri…read my messages” or “Hey, Siri…send a message to ______”? It won’t know it wasn’t you and there goes that message sent or read out loud. No Third-Party Music Services: If you are a heavy user on other music streaming services besides Apple Music, you won’t see much use of the HomePod. While you can AirPlay other content like Spotify, Google Music, etc. from an Apple device, the HomePod only supports Apple Music, iCloud Music Library, and Apple Podcast for playing music natively via Siri. What this means is that you won’t be able to use Siri to play a track from other music services. Not to mention there is no Bluetooth or AUX support either. 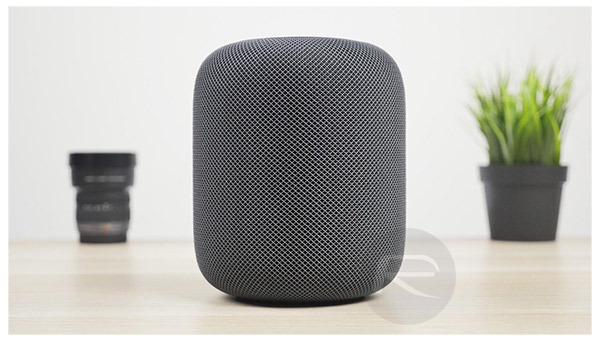 Overall, the HomePod is definitely not perfect. It is great for those with HomeKit devices and are tied in the Apple ecosystem and as such has fantastic sound and build quality. But if you are looking for a very smart voice assistant speaker, look elsewhere. 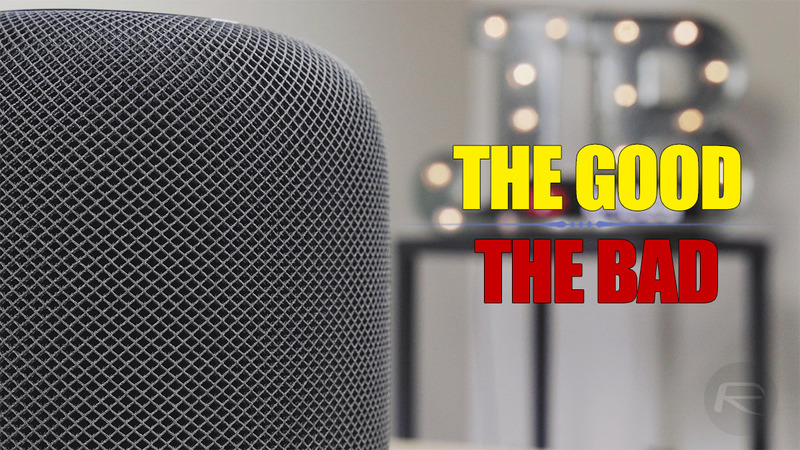 If you are in the Apple ecosystem and looking for an awesome sounding speaker, the HomePod might be for you. You can check out our full hands-on experience with the HomePod in the video below. I just don’t see this surviving like Google Home and Amazon Echo. Those systems are built to be open and Apple is closed by nature. I love Apple, but there is a time and place where you need open-source abilities. Not sure why you made this about phones. It doesn’t even work well right now. Entering the marketplace with a half-tested device doesn’t seem like a good way to get market share. And it’s only ties to Apple Music? No thanks. Since when Apple cares about market share ? Yeah I agree with you there. It’s a good point. I do imagine they consider market share. Probably why this made it to market without doing some pretty simple tasks. But I’m already in bed with Alexa. I bet Google is SO much better. Its voice recognition is incredible on its phones.